Thank you, to everyone who enjoyed and who participated in this year’s Patriot Days and Celebrate Canada events. On behalf of the Patriot Days team, the Celebrate Canada team, and all those who took part, I would like to say that we hope you had a wonderful time. As always, if there is anything that we can improve on for next year, or if you would like to get involved, then please visit the Contact Us page to find out who to speak to. Thanks again. We hope you have a great summer! Sackville Patriot Days is a community, family-oriented celebration organized around Canada Day. It covers three or more days, depending on the day of the week on which Canada Day falls. Events may vary from year to year depending on which community groups become involved. The schedule may include sports tournaments, dances, contests and children’s events. 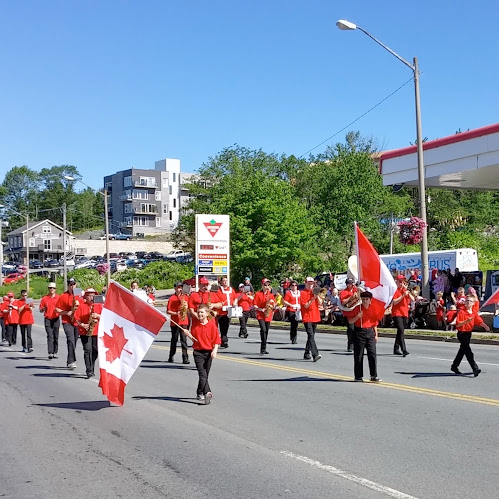 At the core of the Patriot Days celebration each year is a Canada Day Parade down Sackville Drive, a free concert at Kinsmen Park and a fireworks display over First Lake. 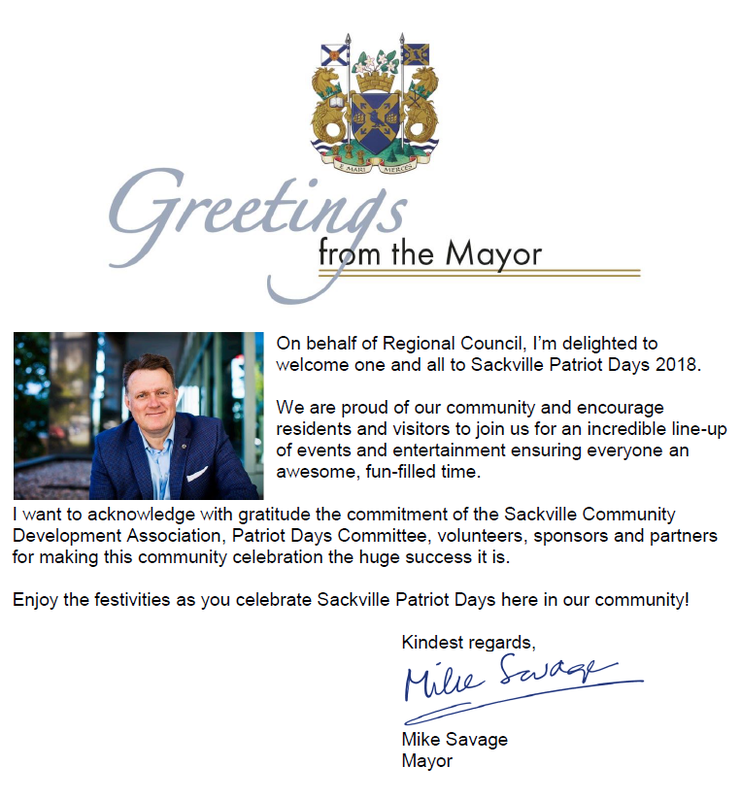 The Sackville Community Development Association (SCDA) spearheads Patriot Days relying on funding from Celebrate Canada, HRM Festivals and Events, and donations from local businesses and individuals. The Patriot Days Committee, a volunteer group who actually produce the festival, is comprised of a consortium of all levels of elected representation, service organizations, club members, and many dedicated volunteers banded together to organize and produce this community festival. Different organizations throughout the community are designated to work on specific events and projects and the SCDA provides coordination, funding, fundraising, publicity, communication, support, labour, and motivation. Work usually begins in early January to prepare the year’s festival. The volunteers work very hard to produce a festival to be proud of. Annual total attendance at the events typically reaches over 50,000 people. New volunteers are always welcome as are fresh ideas.